Iwate Grulla Morioka is a Japanese lower league football club who play in the J3 league which is a part of the Japanese football pyramid. The club is based in Morioka, Iwate and has been a J3 side since 2014 when they won promotion from Tohoku League which is a Japanese regional division. Last weekend, their fans rocked up to a game with wonderful hats on. 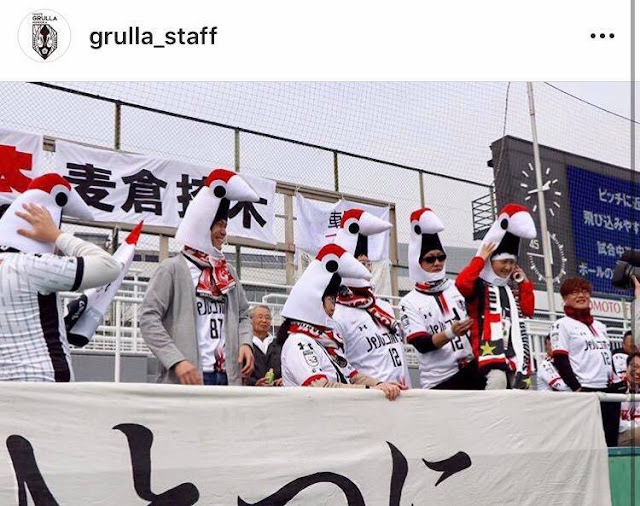 J3 side Iwate Grulla played FC Tokyo's U23 side and some of the Grulla fans showed up in some wonderful crane hats. The photo shared on Grulla_Staff's Instagram page is brilliant and shows why Japanese football fans are in my opinion, some of the best in Asia. Great fun had by all, as evidenced by the image. Grulla is the Spanish word for crane, and historically by the Mon of the Nambu clan of former Morioka than according to the clubs Wikipedia page this then was adapted to become the symbol of Morioka. I know, myself want my very own crane hat because of this picture! If anyone knows how I can get my hands on one, then do get in touch through the contact page. Morioka went on to win the game, which the will have sent the crane heads home happy. The final score was 1-0 with Shuhei Fukai scoring the winning goal in the 43rd minute. The highlights can be found here. 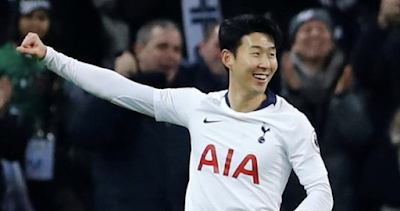 The crane heads can be seen celebrating the goal of at 58 seconds into the video.